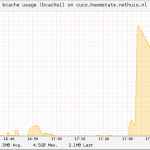 In October 2012 I started using bcache as an SSD caching solution for my Debian Linux server. I’ve been very happy about it so far. Back then I used a manually compiled 3.2 Linux kernel based on the bcache-3.2 git branch provided by Kent (which has been removed). This patch needed to be applied to make bcache work with grsecurity. I also created a Debian package of the bcache-tools userspace tools to be able to create the bcache setup. 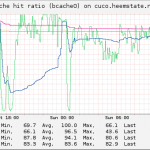 The past year I’ve definitely noticed the performance difference using bcache. 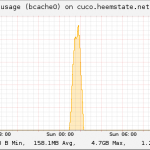 But I was still curious about when and how bcache was using the attached SSD. Is it using the write-back cache a lot? 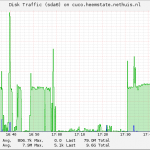 How many times can bcache read it’s data from the SSD cache instead of accessing the HDD? 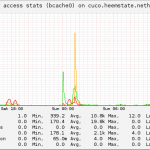 Kent explained that this is managed by the PD controller in bcache. The PD controller has been rewritten in the 3.13 Linux kernel, so I’m very interested if this behavior changed. I didn’t upgrade my kernel to 3.13 yet because I’m a very cautious about it. 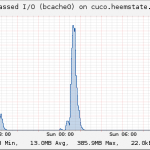 Still a lot of development is going on at the bcache project. But I’m looking forward to upgrading to 3.13, 3.14 or probably 3.15. This entry was posted in Collectd Graph Panel, Development on April 6, 2014 by pommi. Thanks for making this available, I installed bcache a few months ago and have been wondering how the stats vary with time. Looks like that bcache plugin for CGP is missing or is a private file. Can you make it public again? Hi Mihai, I’ve updated the links. CGP changed its plugins system to json files. 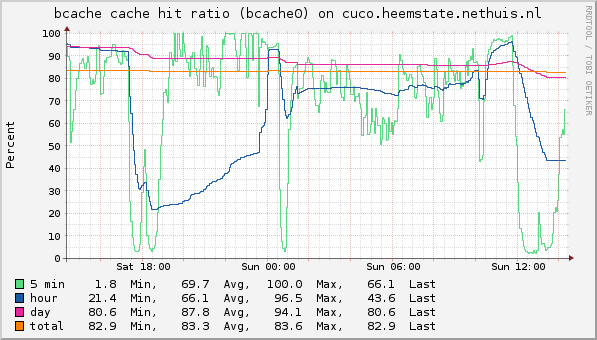 The bcache.php file was converted into a bcache.json file. That’s why the links were broken. My collectd version is collectd-4.10.9-4.el6.x86_64. There is no type ‘requests’ defined in the defaut types.db(/usr/share/collectd/types.db). 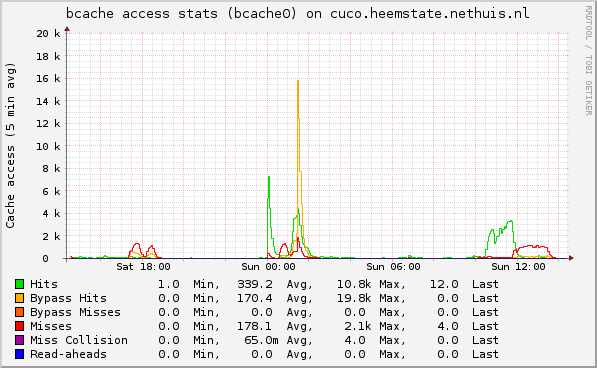 No RRD files are generated like ”requests-bypass_hits.rrd’,and no ‘bcache access stats’ graphics on the CGP page too. So, need to edit /usr/share/collectd/types.db ,insert line ‘requests value:COUNTER:0:U’. Hi Xin, please upgrade to collectd 5. Collectd 4 is not supported by CGP anymore.